The grandeur of the architecture and the style of the Imperial institution or palace used from the Ming Dynasty to the Qing Dynasty bear the testimony of the Chinese civilization and evidence of living traditions and customs of Manchu people and other tribes in the north of China. This Chinese palatial architecture had influenced cultural and architectural developments in East Asia and elsewhere. The monument has the Chinese translation called Zijing Cheng which refers to as Purple Forbidden City. 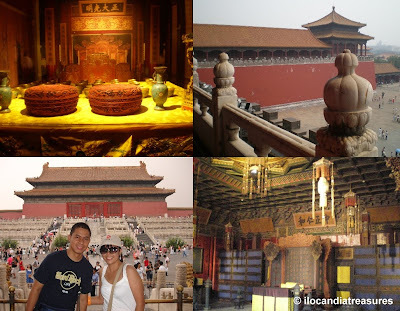 Forbidden Palace is another English name. It was declared by UNESCO as World Heritage Site in 1987. This monument was the seat of power in China for over five centuries. It has landscaped gardens and many buildings composed of 10,000 rooms that contain furniture and works of art. Just imagine this. We were certainly awed by its vastness and we have to rest in between frequent walks when we visited the site.